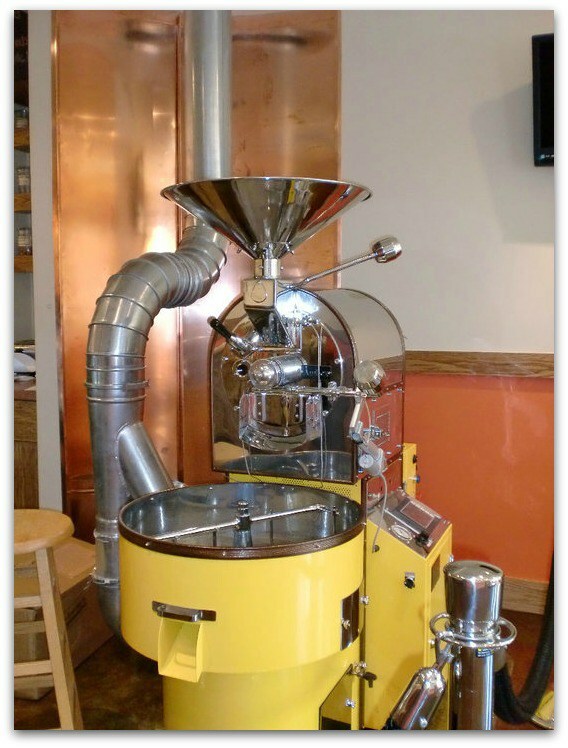 As one of the only small-batch coffee roasters in the DC area, our focus is on quality. At Caffè Amouri our skilled baristas, all trained by Specialty Coffee Association (SCA) Certified Baristas, will make you the finest espresso drinks, or guide you in choosing the perfect cup of coffee or tea. Caffè Amouri is an important member of the community. Whether by offering the annual Vienna Idol competition to raise money for charity, partnering with other local organizations, holding open mics or just a space with great coffee for friends to meet, we treasure this community. Corn starch cups, fettuccine coffee stirrers, and coffee grounds available for local gardeners, all underscore our commitment to sustainability. For these and many other green initiatives we received the Virginia Green Restaurant of the Year and the Vienna Green Business of the Year award. Human sustainability is of equal importance. We seek, as much as possible, to purchase beans from sources that provide farmers a much higher than market price; raising their family’s standard of living. We’ve served coffee from farms where I’ve had the opportunity to break bread with the farmer and his family. His family was no different from my family…loving, hardworking, inviting. As the last step in the coffee bean “journey”, we feel a deep commitment to honor the love and care they show to their crops by careful roasting and final preparation of every cup. Our Vienna Idol competitions have raised over $60,000 to fund SUDEP research, provide epilepsy monitors and fund college scholarships through the Khristin Kyllo Memorial Fund – honoring a young lady I coached at Madison High School. We provide free coffee to parents who walk their kids to school, many gift baskets for charity auctions, send coffee to troops, collect coats and food donations, host family friendly open mics, and are immersed in the community in so many other ways. We have a wonderful staff who fully support the value of a business/community relationship, and are the front line in demonstrating these values. Our staff is always looking for ways to positively impact the community…to touch someone’s life…perhaps in a way that changes their life forever. For a city boy turned television producer turned coffee roaster and now active community member, it has certainly been a long, strange and incredibly fulfilling trip. It started with not a “dream” mind you, but a thought. Saying, in my college days, “One day, I’m going to open the coolest coffeehouse ever!” Envisioning days of sipping espresso while conversing with intelligent peers, listening to poetry and music. I began writing the business plan 20+ years into my profession as a television producer. About 6 years later, the opportunity presented itself. The perfect spot opened up in my home town, on the best street, the right side of the street, near the bike path. Caffè Amouri opened its doors less than one year later to, I must say, a less than resounding community welcome. It was a scary time. We realized that if, at the end of the year we had to close our doors, we should be able to look back and say we were a success for the community fundraisers we did, the coffee we sent to troops, and any enjoyment we provided people that came through our doors. CAFFÈ AMOURI is named after my parents – George and Georgette Amouri – who taught me that what you do can, and should, change peoples’ lives.